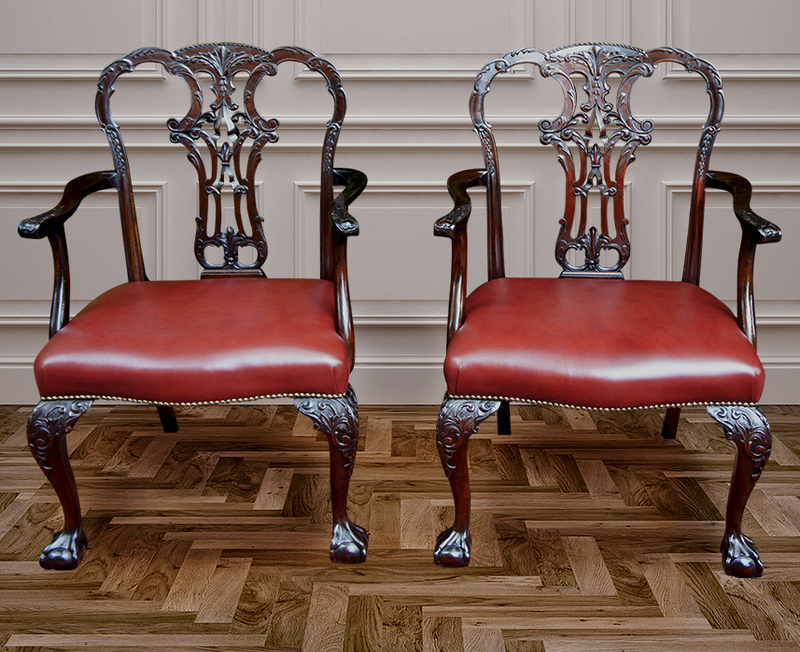 This pair of antique mahogany armchairs is made from good quality timbers in the 'Chippendale style' of the mid-18th century. 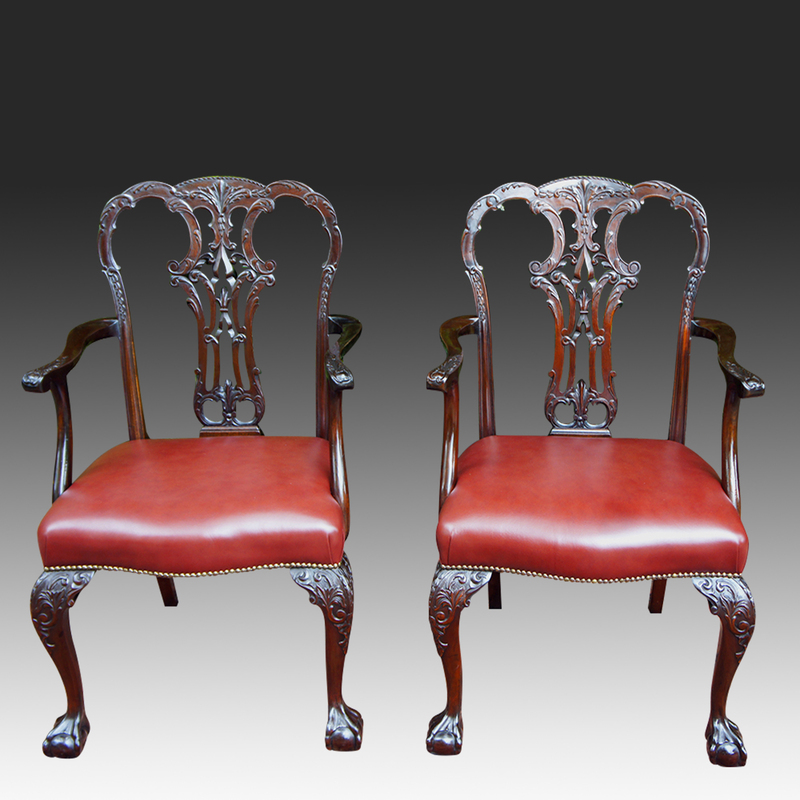 They are very comfortable; being a large size with carved shaped backs with intricately hand carved central splats. 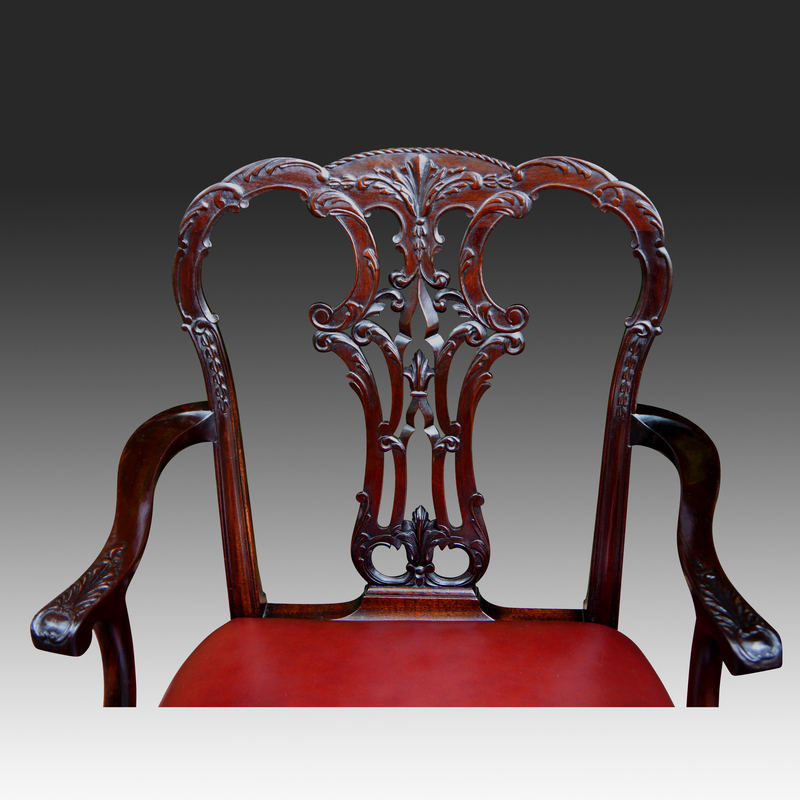 They have elegantly shaped arms with leaf and cartouche carving. 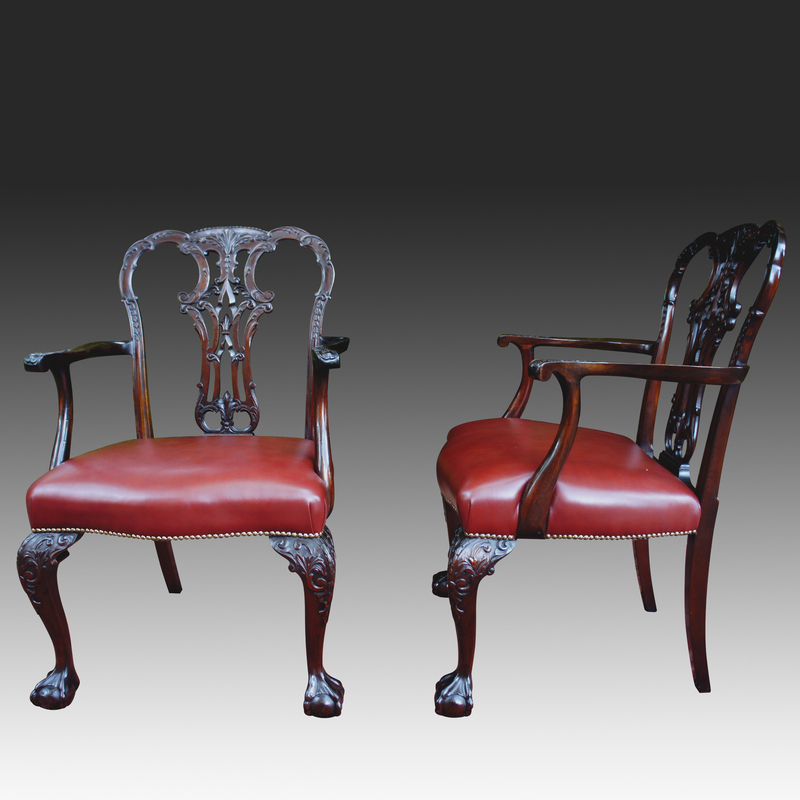 This pair of antique mahogany armchairs is made from good quality timbers in the 'Chippendale style' of the mid-18th century. They have elegantly shaped arms with leaf and cartouche carving. 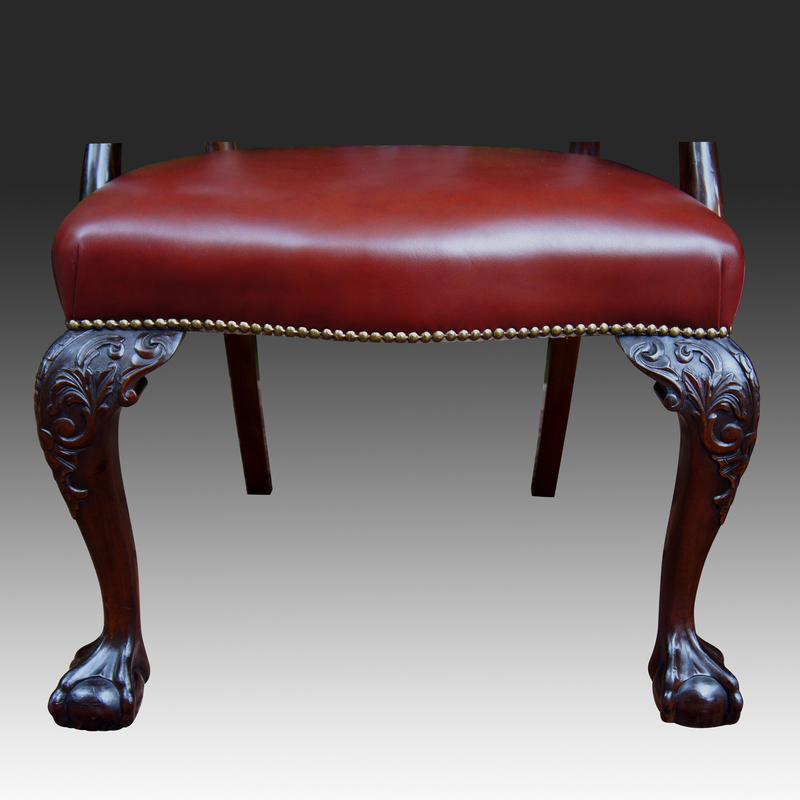 in a chestnut red hide with brass studded borders. 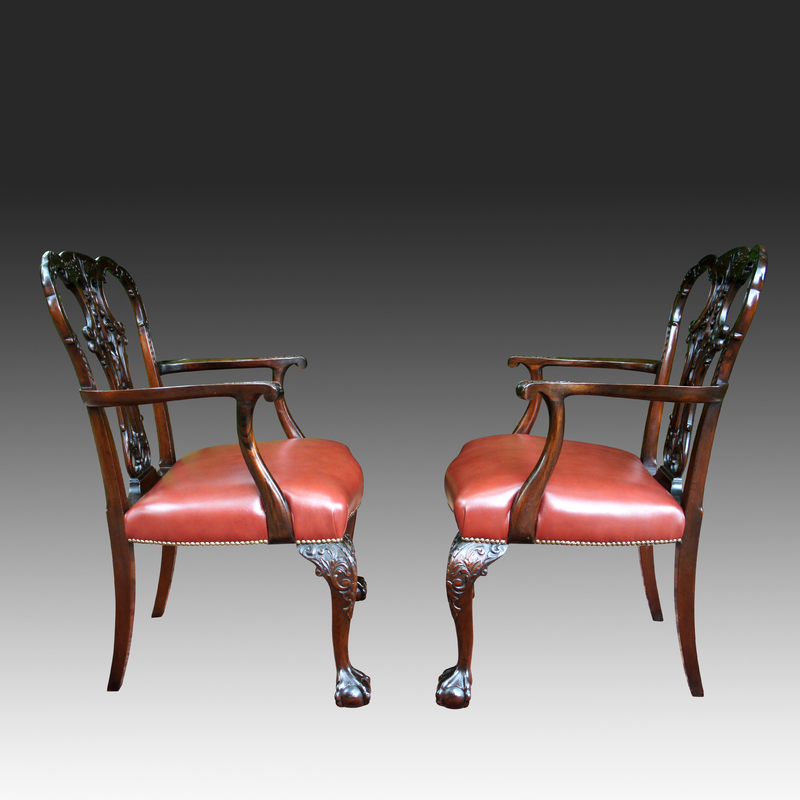 The chairs stand on boldly carved front cabriole legs terminating in ball and claw feet. 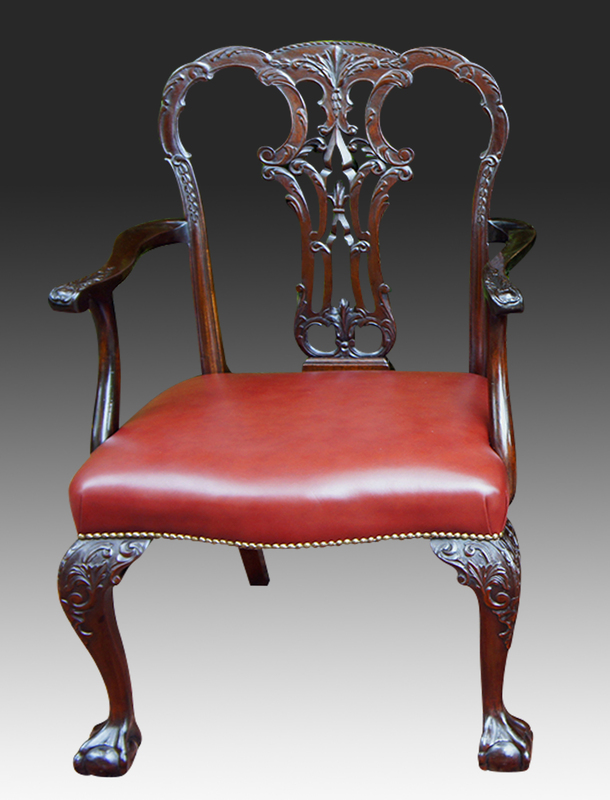 The frames have recently benefitted from professional cleaning and wax polishing and are in very good condition. 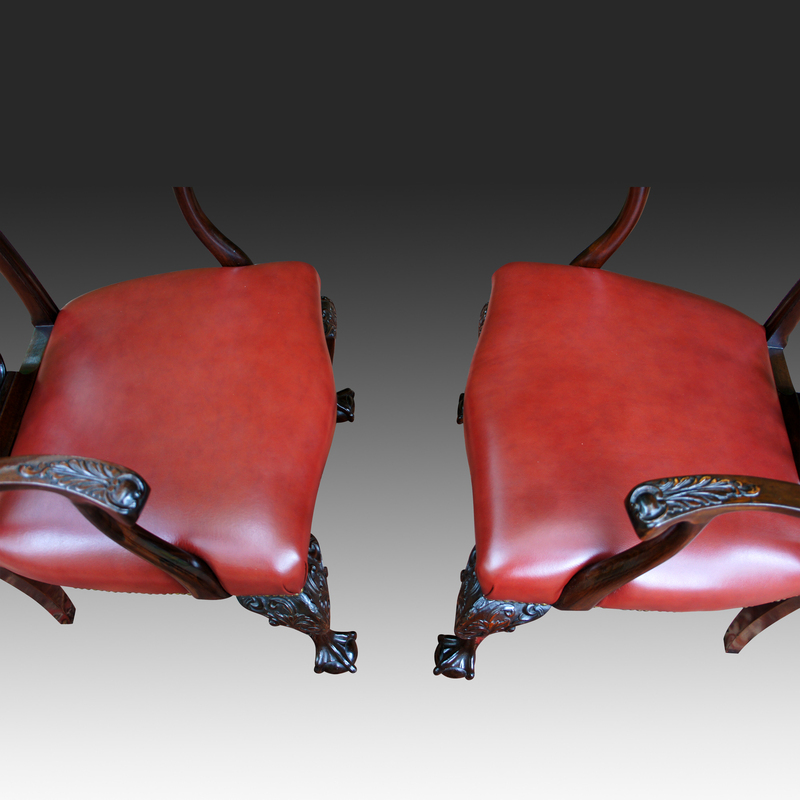 The seat rails are made from oak with is another indicator of the fine quality of these chairs. These beautiful good quality chairs are in excellent condition with no signs of breaks or repairs.